That’s a good job on choice of colour. I think it looks great, especially for a first attempt! Can't wait to see what else you have in store. Thanks for all of the complimentary comments. This one did not turn out the way that I wanted it to but it is a better result than I expected. What you see in your head is really hard to bring into existence in the real world! As for size Jose_SM - there is a comparison image a few pictures up with it next to the Safari Apatosaur. I feel that Sauropod figures should be large, these animals were big, even by Dinosaur standards, but as this stuff has to be baked I had to consider the size of our oven (hence the curled tail - but that could be taken as being ready to lash out at a curious predator), and the amount of clay that would be used. Don't think future attempts will be quite so large. The proportions are not quite right for an Apatosaurus (ambition outstripped by ability here) so maybe I should re-label it a Dicraeosaurus instead. 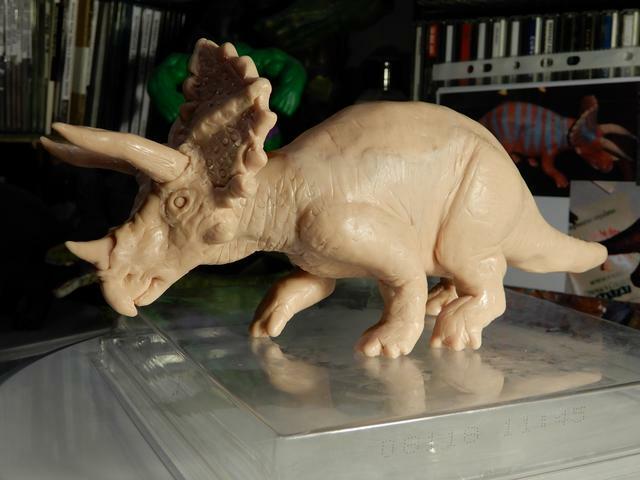 As I said, back at the sculpting again, this time the subject is a Triceratops, my 'favorite' species after Sauropods. 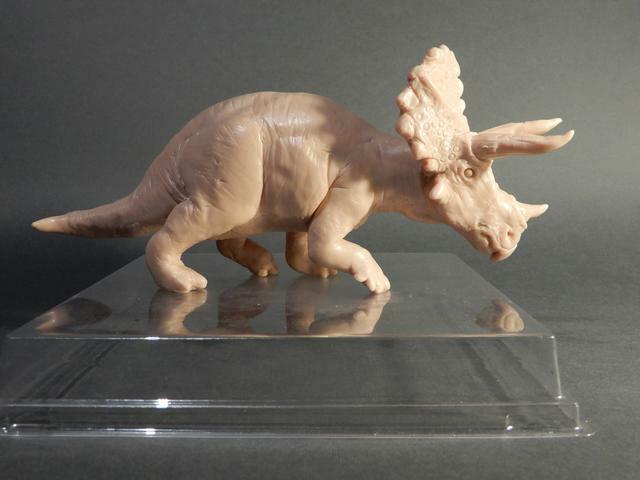 As I have mentioned many times in various comments I'd love to have a Battat Triceratops, but that clearly does not look like it's ever going to happen so I thought I'd base my sculpt on that one (trust me, Greg Wenzel has nothing to worry about). Here's a progress montage. I hate doing the armature - too fiddly but you have to have a 'skeleton' to hang it all on. Life is not like a You Tube video where you can jump ahead to the good bit, in this case adding all of the surface detail, so you have to work through it. At the stage now where I am adding the surface detail, and trying to find something the right size to make all of the small scales. The ones on the frill were made with the barrel of a ball point pen after you pull out the nib. Other than that I have put on the criss-cross elephant hide lines that a lot of Battat figures have but I'd prefer the look of scales. I'll add more images when I've added the scales and more detail. As I learnt with the previous figure - get it as finished as you can before the bake because by then it is set quite solid. Oh a ceratopsian! My favorites, I'm excited to see the final result. Love the proportions and shape, it's coming along beautifully. Great work so far! The head is looking really good! I would recommend baking the polymer clay in thinner layers, though. If you bake it all at once there´s a greater risk of developing cracks. At least that´s my experience. Don´t be afraid to bake it early on, you can always add fresh clay on top or grind something away if needed. Love the finished product, great figure. 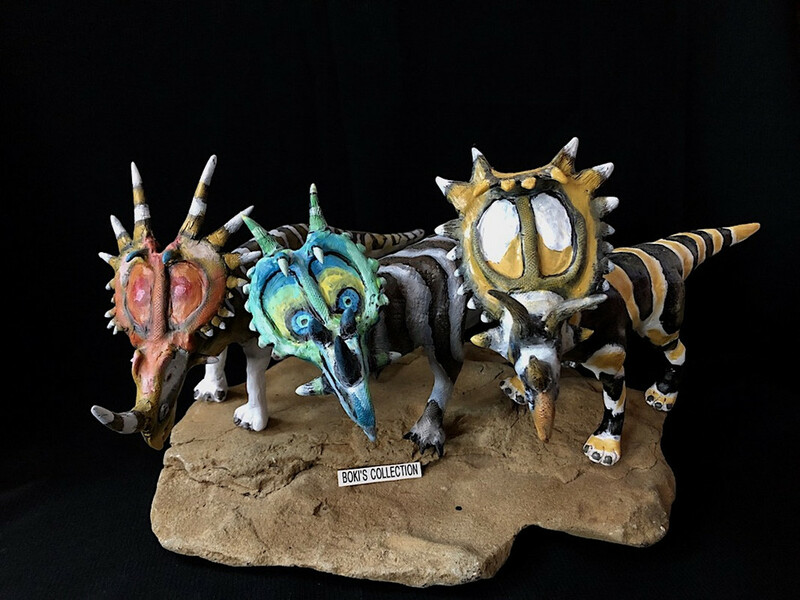 I am also starting on sculpting, and sauropods and ceratopsians are part of the plan However, I have a long ways to go. For now, I have assembled an interesting group of prehistoric mammals and birds. Love that trike project, looks really good. I watch and learn from all of the members here that are doing sculpting, can't wait to see it finished. Thanks, the Sauropod wasn't quite how I saw it in my head so I intend to have another go at one of those further down the track, good experience I guess. 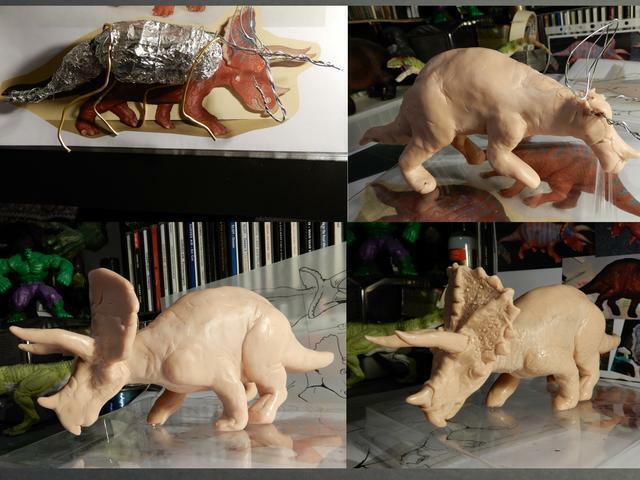 Not sure when I'll finish the Triceratops, distractions & commitments tend to eat up the spare time at the moment. I have been meticulously adding scale detail, using the middle out of a ball point pen, but patience is not one of my strong suites so have to do it in short bursts. 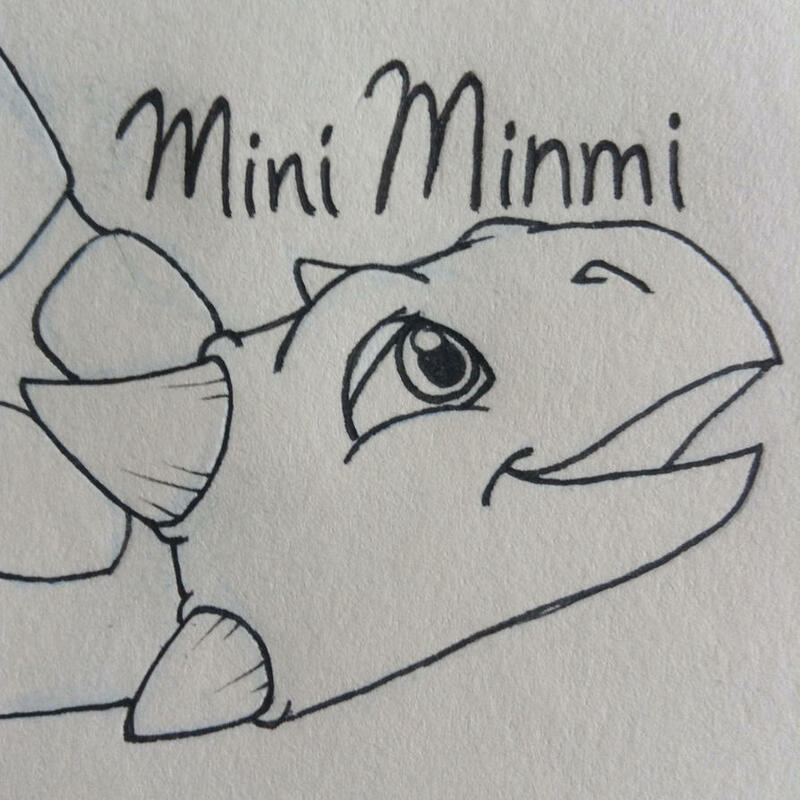 In the mean time I have been trying to find something to use for modelling the small scales on the face, so far without success. In the mean time I have been trying to find something to use for modelling the small scales on the face, so far without success. I can recommend the tip of the shaft of bird feathers. Or try to find some small diameter pipes at the hardware store. Otherwise there´s always the option to sculpt them freehand or use small clay balls and stick them to the sculpture. I also have a short tutorial on my DeviantArt page for making DIY scale tools. Thanks very much fir the tips - plenty to follow up there! The best I've managed so far is rolling a piece of paper up into a narrow cone and using the small end to press into the clay. kinda works but the hardware store will be getting a look-in this weekend. Looking good. I just finished my very first dinosaur, a sauropod as well I'm not ready to show it yet, but soon. I'm curious as well about how to add texturing on skin. Yeah, scale textures puzzled me for a while. I'd seen those texture stamps in videos by Kayakasaurus and others on You Tube but they tended to flatten out the sculpting as you pressed them on to the model. I have been getting the best results by finding and pressing a variety of tubular objects into the clay to leave a raised 'scale'. Caps off ballpoint pens, the pen without the nib, the hollow ink tube, etc. Takes time to press it into the clay and try not to leave gaps between the impressions for a more continuous texture look. I'm trying to vary the scale size with some of those large scales among the small, characteristic of some Ceratopsian skin impressions, with smaller scales on the face and lower legs. Just looks more naturalistic, well as naturalistic as my attempts have been so far. Frustrating work at times as you brace one side of the figure with your hand to press into the surface of the clay you are flattening out the scales on the other side! Holding it with fingers on the spine and thumb on the belly seems to get around that. Experimentation and improvisation seems to be the rule in getting various effects. You end up walking around the house looking in drawers or out in the garage for sculpting 'tools'. I know what you mean about trying to preserve those textures as you work the entire figures. I still am trying to figure out a good way to do that without blurring or losing the details on one side.